I love using fresh fruit and I’m always trying to think of ways to incorporate fruit into our diet. I recently tried incorporating cantaloupe into our diet and I came up with this fruit drink. 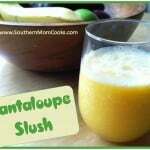 My Refreshing Cantaloupe Slush is packed full of fruit. I love serving this drink to my kids because I know they are getting a nutritious drink. I try to make large batches of this, which keeps the family away from those non-healthy type of drinks. 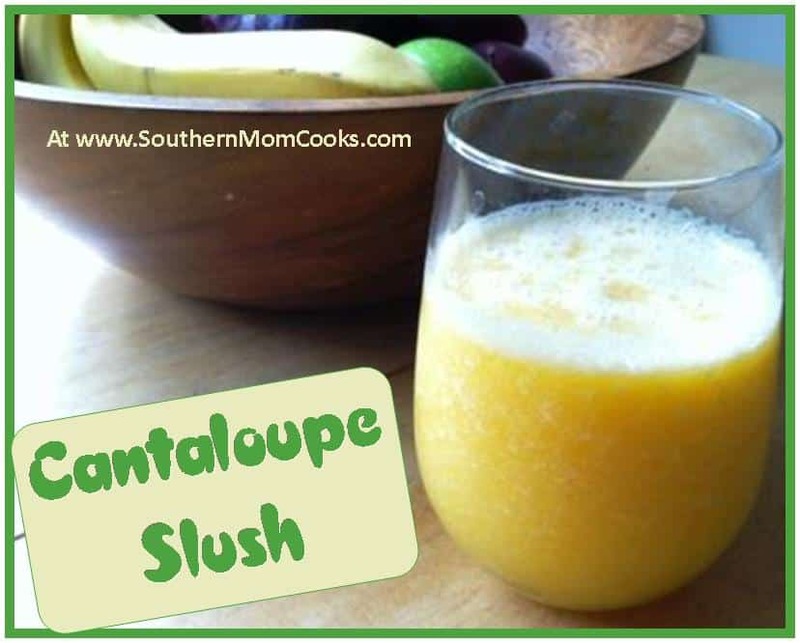 I love serving this Refreshing Cantaloupe Slush to my kids because I know they are getting a nutritious drink. Add all the ingredients to a blender and blend until smooth. For added flavor, use frozen orange juice concentrate. If you make this drink in the evening and let it chill it is perfect with breakfast the next morning. It is a welcome change over milk or other fruit juices. It has a unique tropical flavor that makes you want to come back for more. When I can’t find cantaloupe on sale or when it isn’t in season, I go to my trusty Banana Coconut Smoothie recipe. This is another fresh and tropical drink, that I can’t get enough of. We have fresh Cantaloupe growing on the hills right now and they are so sweet and delicious, this will be a great recipe to try. Thank you so much for sharing with Full Plate Thursday and have a great week. I know! Welcome to the club on that one 😉 Do you prefer secretary or treasurer? LOL! I LOVE cantaloupe as well, but it can go bad so quickly if I am not careful.